How much is the price range of a custom-made bridal gown? what are the inclusions? Do you have packages for the whole wedding entourage? Yes, I accept made to order gowns for the entourage if the bride is my client. Otherwise, I don't entertain inquiries from non clients. Do you accept made to order suits for the groom? I don't accept made to order suits because I focus on women's attire. Do you accept clients based abroad? What is the process? Yes, I accept clients from overseas on the condition that you will be able to fit the gowns here in my studio personally. Do we need to set an appointment to have a meeting? I do not accept walk in clients. Please call before hand to set an appointment. Our studio is open Mondays to Saturdays (except holidays) from 10:00 a.m. to 6:00p.m. What mode of payments do you accept? I accept cash payments. For cheque payments, kindly allow 3 days clearing for local cheques before we can give you the merchandise. We suggest that we finalize and sign the contract atleast eight months before the wedding date. How far in advance should I book my contract? We suggest you order your wedding gown at least six to eight months before your wedding date to avoid rush fees, as all gowns are custom-made. Do you sell RTW Bridal gowns? No, we don't. As of the moment we only do custom-made wedding gowns. For RTW evening gowns, you can go to Styled Pop Store (booth name: COLLAB) located in Edsa Shang Mall, 2nd floor east wing level to check my limited RTW evening gowns. No. I don't. I only accept if you are my client as a bride. 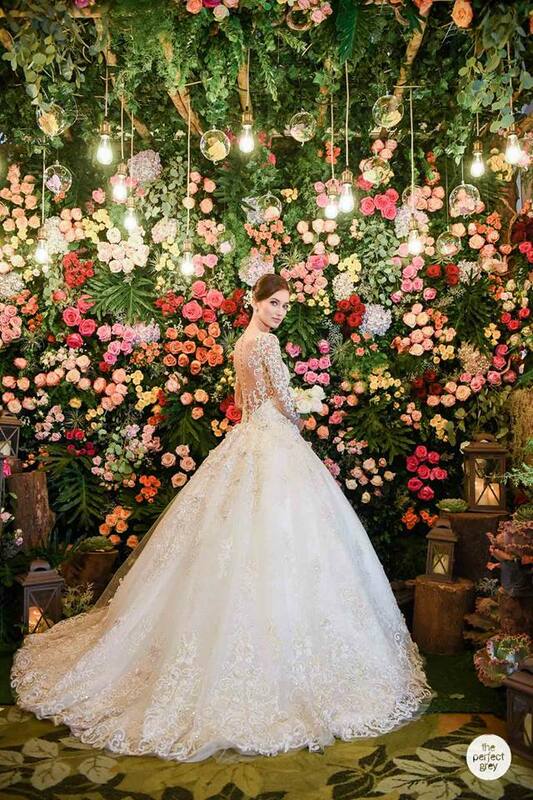 Let's make your bridal gown dreams come true!